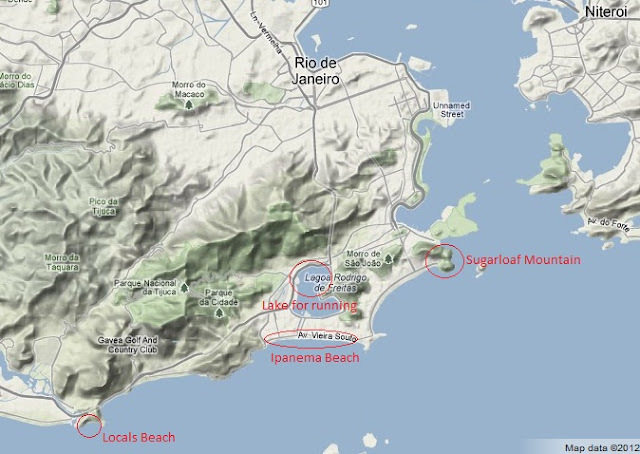 The Ipanema Beach is about 2.5 miles long, so I ran the length of the beach and back, with a little extra thrown in there. They close the road next to the beach on Sundays so there was lots of space to run and lots of people doing just that. This beach is most beautiful in the mornings because it is east facing - directly in the sunlight. I took my camera with me running, like a true ultra-marathoner! I had to get a few running photos on the beach in Brazil so Jon took a few for me. I finished off the run with a dip into the ocean. I could get used to that! Jon's friend recommended that we visit a small local's beach a little farther away from the touristy spots. 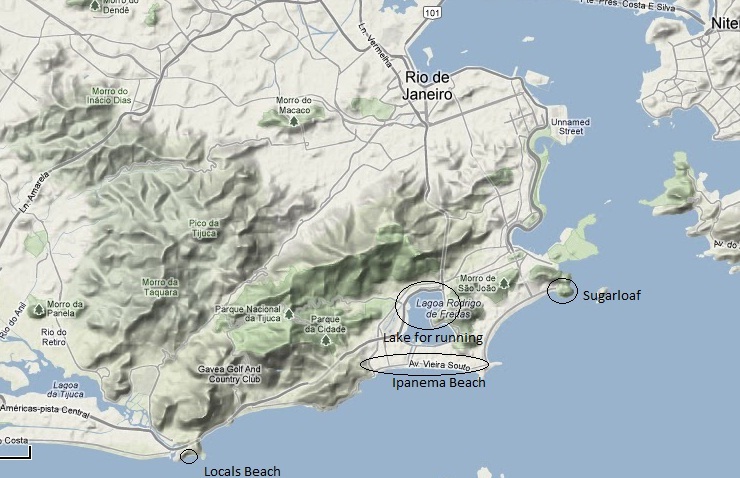 On our way out to this beach, we got to see - up close - some of the favelas in Rio. They are very poor areas with a lot of crime and houses built upon each other. I heard that there are some favelas that have over a million people! They are located all throughout the city on hilltops, and the city is really trying to clean these areas up in time for the 2013 World Cup and 2016 Olympics (they have a long way to go). We finally made it to the beach! The location, the views, the atmosphere....it was just perfect. I couldn't have asked for a better afternoon at the beach in Brazil. You can tell that I was happy to be there!! Andrea, GREAT photos!!! I already had decided I was going to Brazil for the World Cup in 2014, but this just makes me want to go even more. Can't wait to hear more about your adventures and training....and how Jake does in Boston (I'm sure he's going to go great). Love this blog! great pictures, andrea. 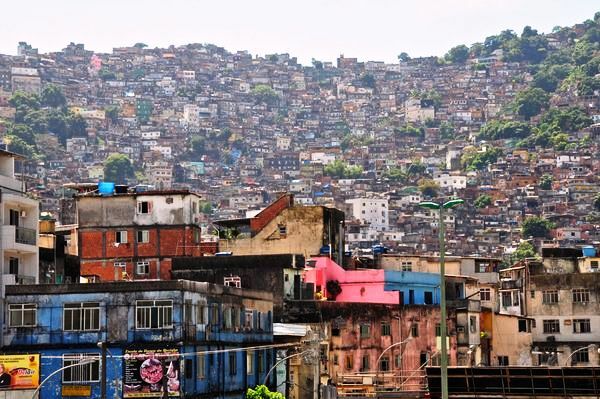 those ones of the favelas are insane!